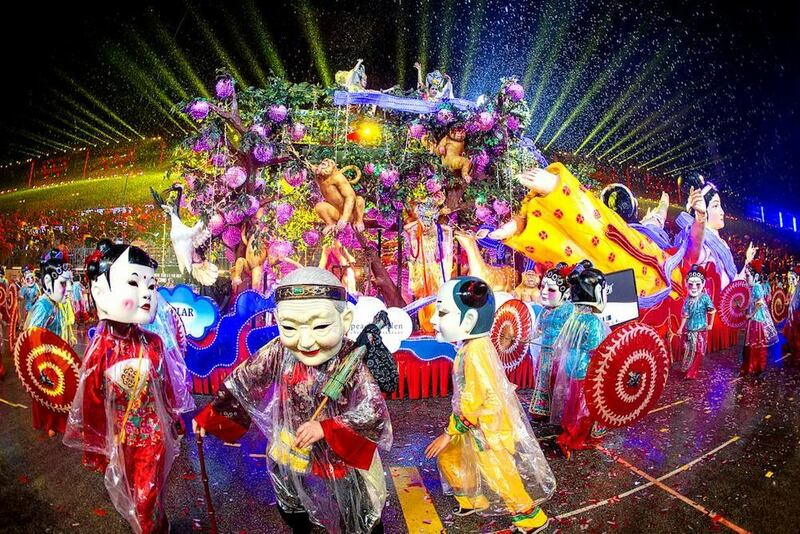 The Hokkien term ‘Chingay’ translates to the art of costume and masquerade which is apt for this vibrant street parade. 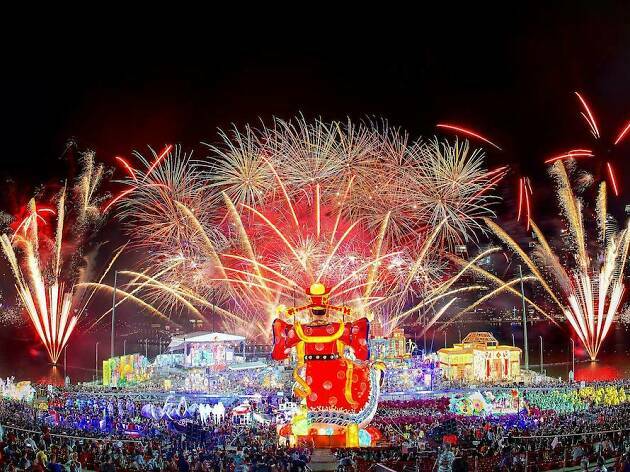 The quintessential Singapore event is usually held during the Chinese New Year festivities. This year, it takes over the F1 Pit Building on February 15 and 16 with its usual riot of colourful costumes, live performances, dazzling floats and intricate props from all around the world. 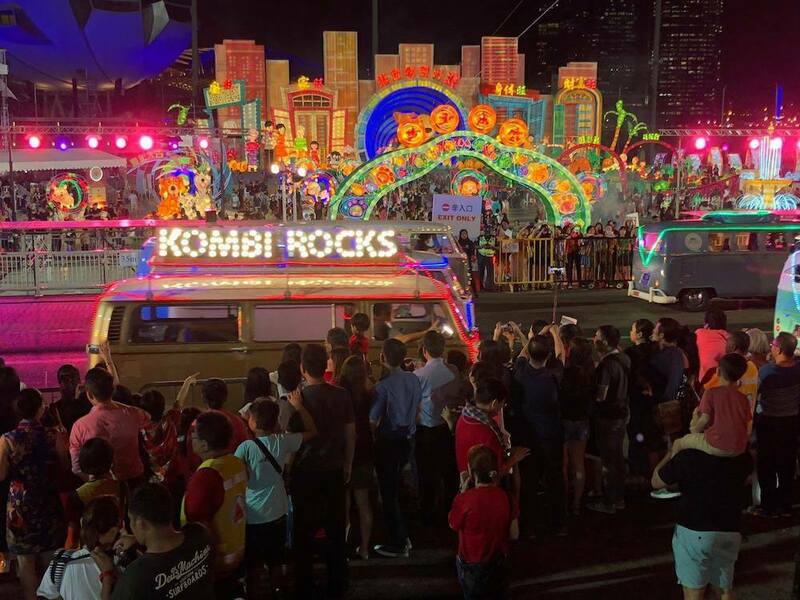 An iconic symbol of Singapore, the massive jamboree celebrates the country’s rich multicultural and cosmopolitan cultures and has become a household name amongst the various communities since its debut in 1973. 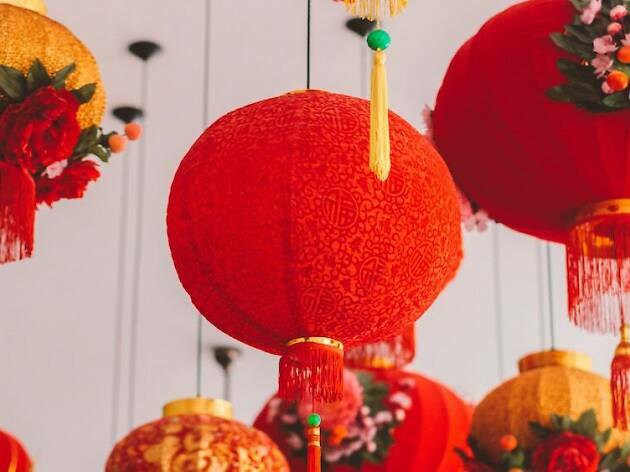 Trivia: the celebration makes up for the ban on firecrackers that was once a customary Lunar New Year practice to ward off evil spirits. 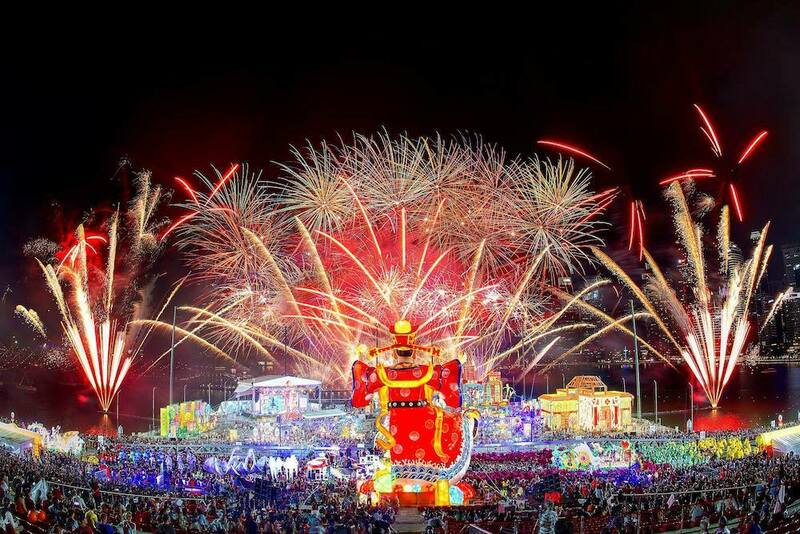 This year, Chingay delves into the theme of ‘Dreams Funtastia’ as part of the Singapore Bicentennial commemoration to showcase the infinite imagination of what Singaporeans can achieve and become in the future. 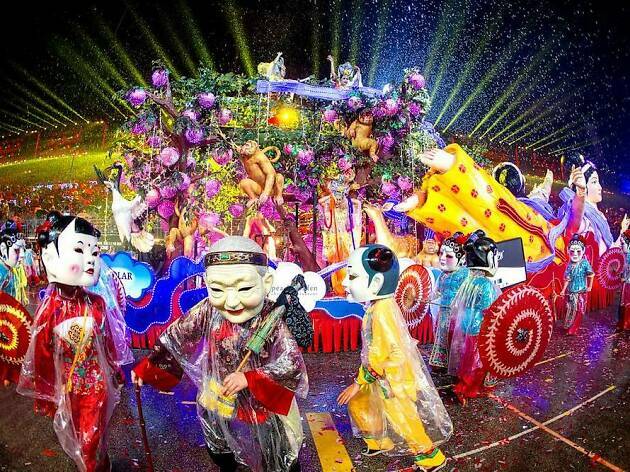 Come rain or shine, get your tickets to this shining, shimmering, splendid street parade at chingay.org.sg. Here’s what you can expect at this energetic bash. Prepare to be dazzled by the gargantuan, illuminated floats and lanterns that adorn the parade. 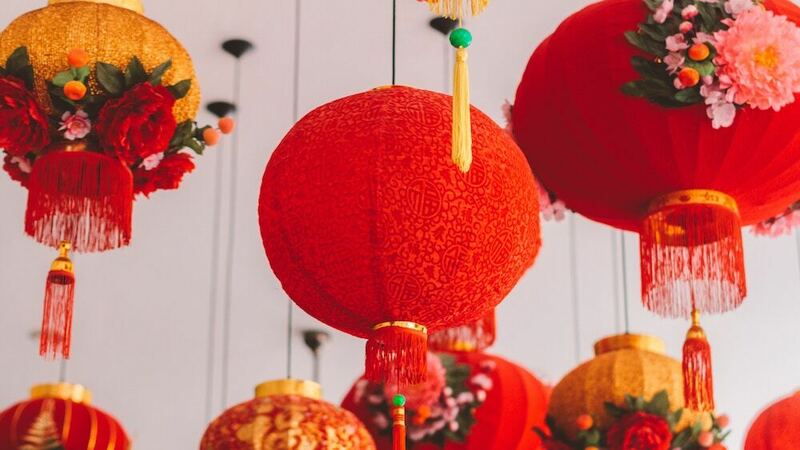 The eye-catching CNY trappings take on the form of anything from colourful pigs (it is the Year of the Pig, after all) and other zodiac animals like the dragon to fruits and flowers, all bursting in true brilliance. 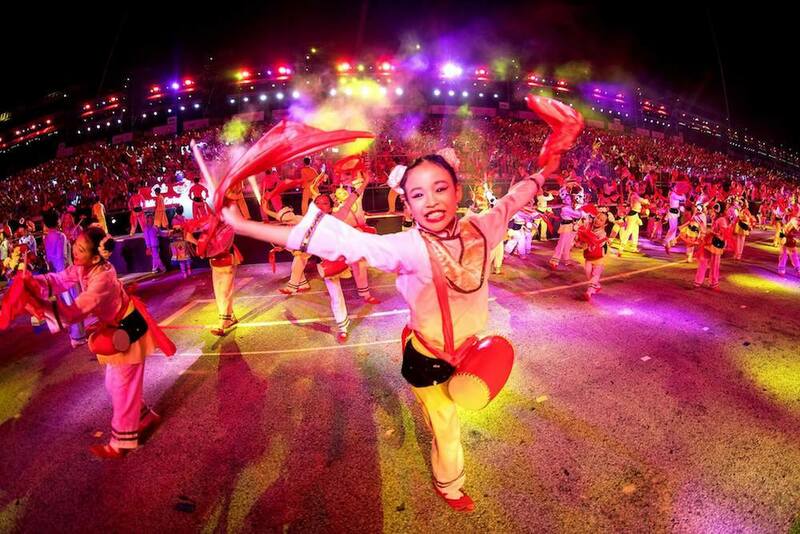 Each year, Chingay brings hundreds of young people together through art and performance. 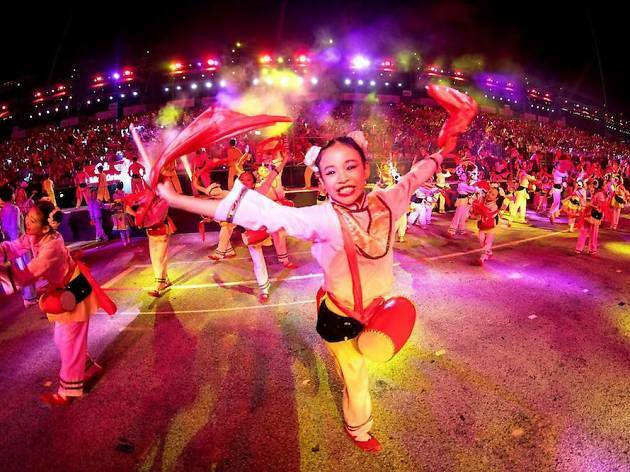 The parade captures the country’s unique multicultural personality through song and dance of the many cultures that have called Singapore home. These youngsters are also joined on stage by previous performers as well as those from around the world. 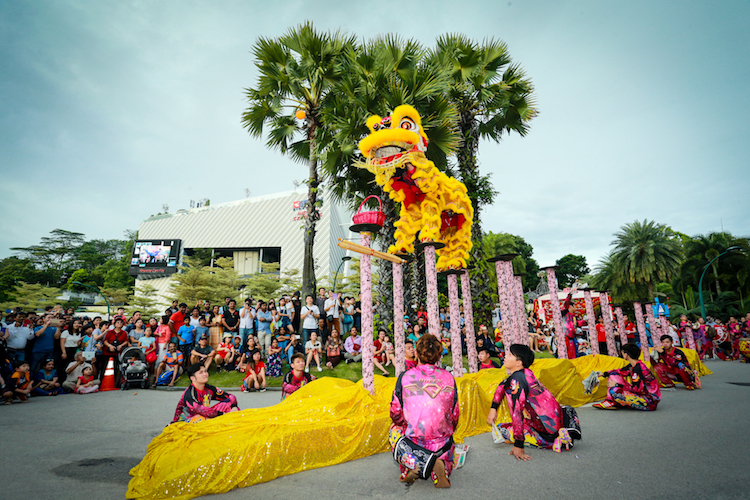 Chingay also makes the best event to witness stilt walkers, Wushu masters, dancing dragons, prancing lions and more. Don’t fret; no real animals will be performing. That’s not all – prepare to be blown away as riders show off their skills (and their need for speed) on different vehicles such as go-karts, Harley Davidson motorbikes, vintage cars and Vespa sidecars. 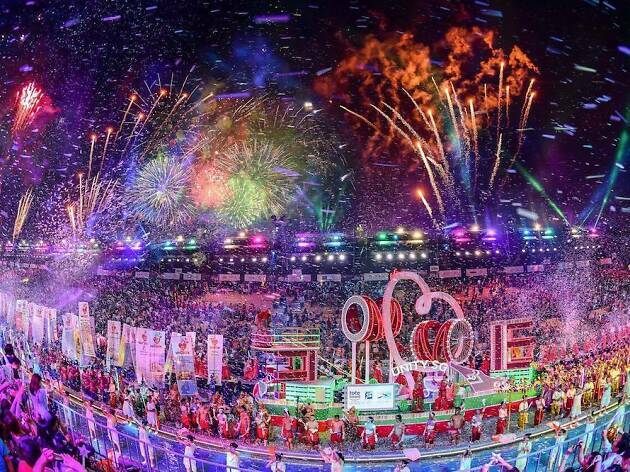 As usual, the parade ends off with a bang. 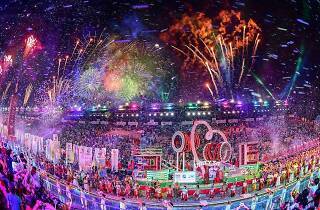 It’s worth staying until the end for the incredible pyrotechnics and fireworks displays. Catch the debut of a first-of-its-kind 270-metre long painting come to life by three multidisciplinary artists from different backgrounds. 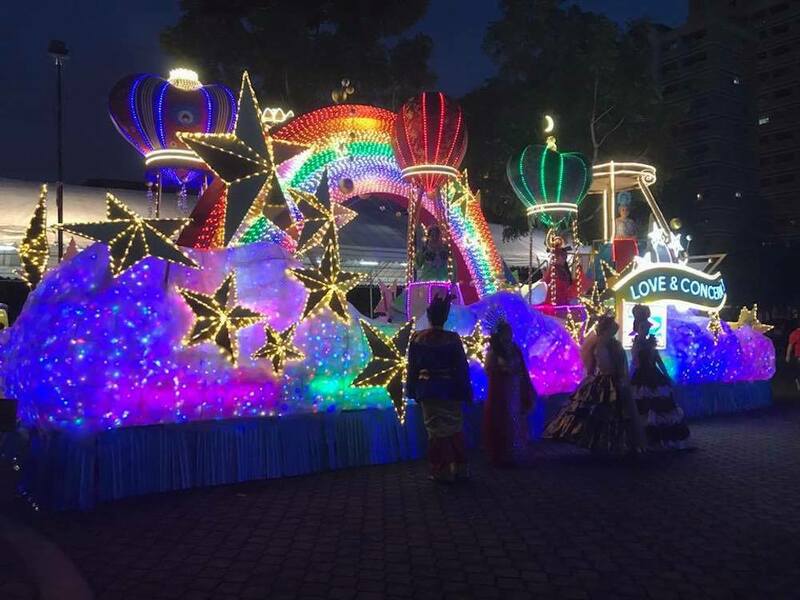 The artwork is set to open the parade as a special gift from the community to Singapore as part of the Singapore Bicentennial. It reflects the country’s humbling past, the modern, progressive state it is today and the aspirations for the future. Singaporeans and residents from all walks of life have also left their marks on the piece to celebrate unity in diversity. 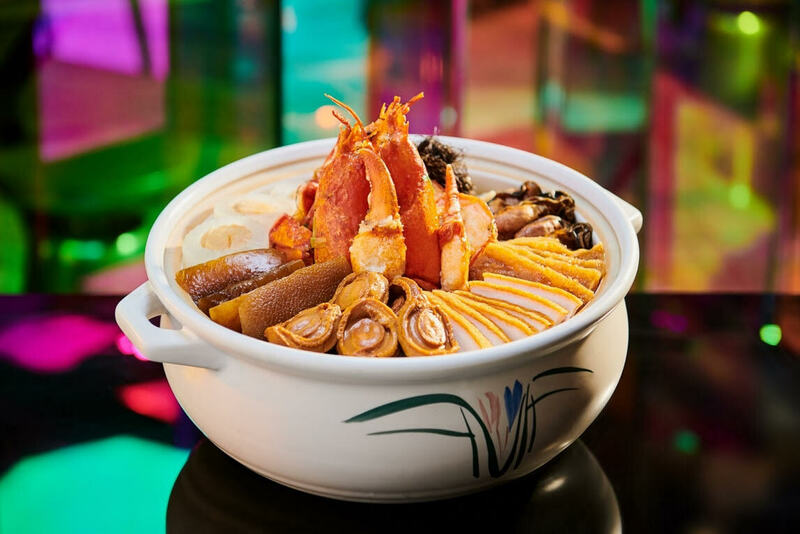 Returning for another round of revelry, the whimsical carnival spans across three days from February 15 to 17 at the open space behind the Singapore Flyer. 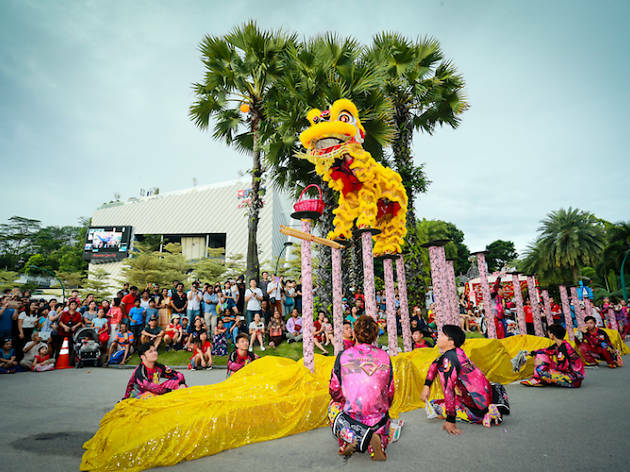 Great for keeping the little rascals busy, the giant playground is jam-packed with a plethora of family-friendly rides and games, as well as Instagram-worthy art installations and food and drink options. There’s also an outdoor movie screening on Sunday. 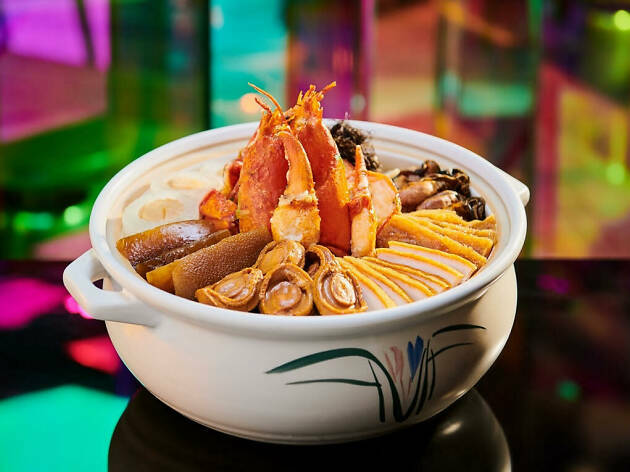 Complete the entire experience with a limited edition Chingay merch to take home.